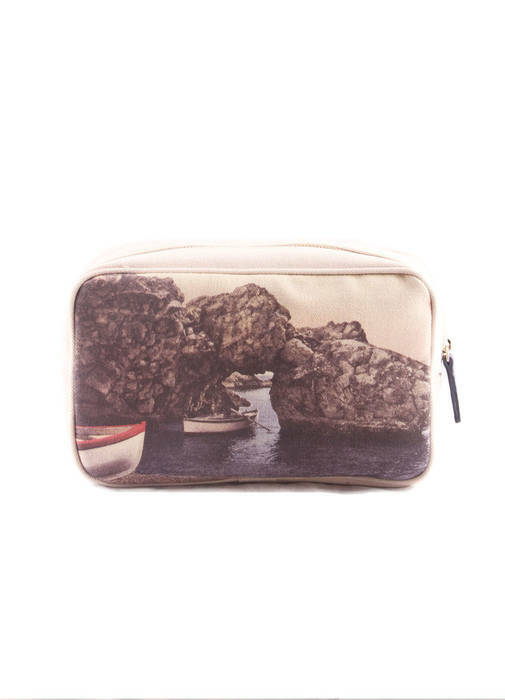 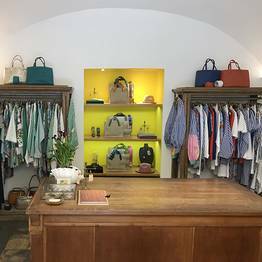 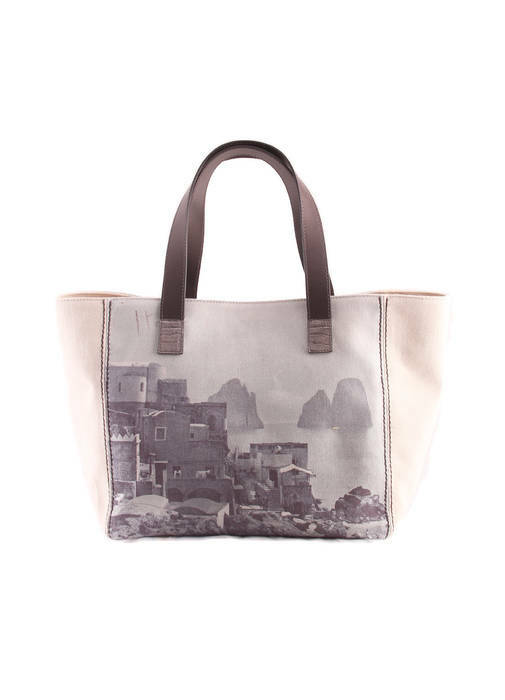 Capri style every day with an exclusive handmade bag by Laboratorio Capri: from the Faraglioni to the iconic Piazzetta, with touches of the Blue Grotto, Via Krupp, Marina Grande, the Gardens of Augustus, the Sirens' Rock, and Via Camerelle. 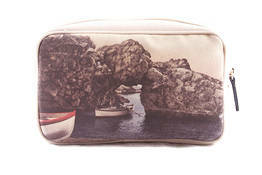 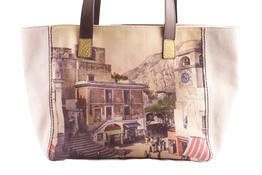 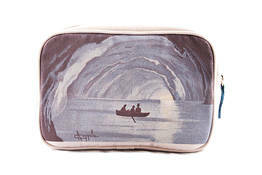 These unique creations in canvas and leather made by Laboratorio Capri symbolize the magic of Capri, the Azure Island. 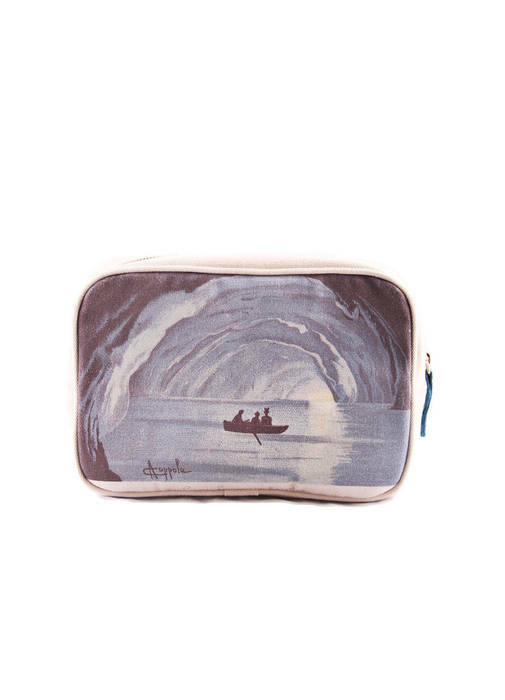 Small masterpieces that depict the most beautiful corners of Tiberius' favored isle on their one-of-a-kind vintage postcard prints and designs. 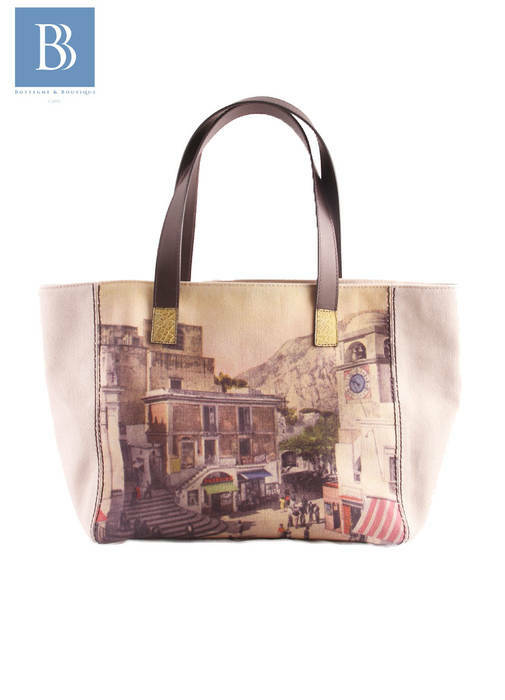 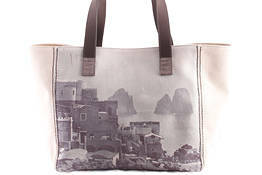 This accessory will remind you of the most beautiful island in the Mediterranean with the “postcard” print created exclusively for Laboratorio Capri, an island landmark brand that blends the fashion experience of Michele with the craftsmanship of his parents, known by the international jet set as “Sartoria Gigino” since the 1950s. 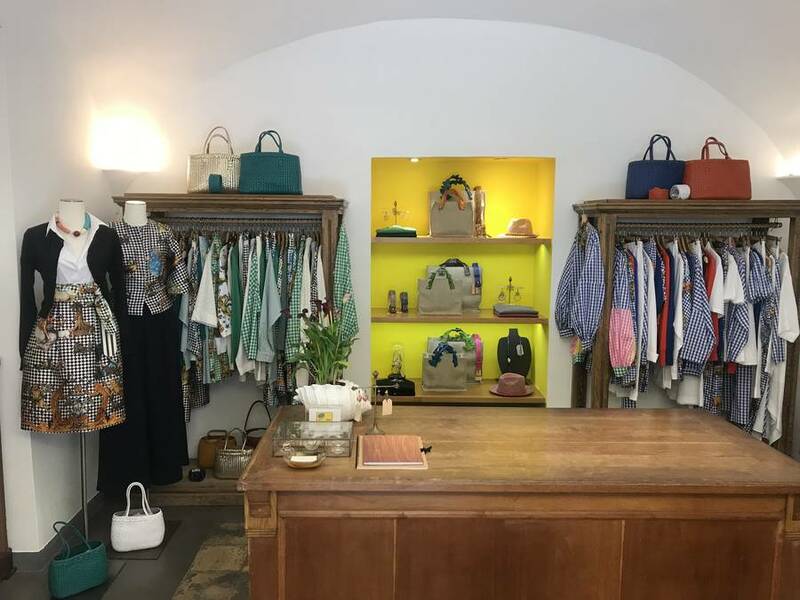 A unique combination that results in exclusive pieces for women who value glamour and impeccable style and who want to bring a touch of Capri with them, wherever they may be worldwide.